Robert Bealle an artist from Waldorf, Maryland, took top honors at the 2009 Federal Duck Stamp Art Contest. Bealle's painting of an American wigeon will be made into the 2010-2011 Federal Duck Stamp, which will go on sale in late June 2010. The U.S. Fish and Wildlife Service produces the Federal Duck Stamp, which sells for $15 and raises about $25 million each year to fund wetland habitat acquisition for the National Wildlife Refuge System. Of the 224 entries in this year's contest, eight entries made it through to the final round of judging in the two-day art contest, the oldest and most prestigious wildlife art competition in America. Scot Storm of Freeport, Minn., placed second with his acrylic painting of a pair of wood ducks, and Jeffrey Mobley, of Tulsa, Okla., took third place with an acrylic painting of a gadwall. "The magnitude of this moment has not escaped me," said Bealle, who has previously entered the Duck Stamp Contest numerous times. "I'm so humbled and appreciative of this. I just don't know what to say." The Federal Duck Stamp Contest was held this year at the Patuxent Research Refuge in Laurel, Md. Service Director Sam Hamilton announced the contest winner and congratulated Bealle — who was present at the contest judging -- on his achievement. "We recognize Robert Bealle and personally thank our distinguished panel of judges for their hard work on behalf of waterfowl conservation and the Federal Duck Stamp," said Sam Hamilton, Director of the U.S. Fish and Wildlife Service. "This year's contest is particularly special for me because it is my first opportunity to take part in the contest as Fish and Wildlife Service Director, and I am honored to step into the shoes of the many past directors and play a role in this landmark program." This year's five-judge panel included former Congressman Wayne Gilchrest, an active conservationist; Jeff Hedtke, a conservationist in his personal and professional life as well as collector of duck stamps and decoys, Marshall Jones, retired deputy director of the U.S. Fish and Wildlife Service; Peter Martin, a writer, editor and duck stamp expert; and Judith Warfield Price, a waterfowl art expert and Executive Director of the Waterfowl Festival in Easton, Maryland. All waterfowl hunters age 16 and older are required to purchase and carry the current Migratory Bird Conservation and Hunting Stamp — commonly known as the Duck Stamp — but conservationists, stamp collectors and others also purchase the stamp in support of habitat conservation. 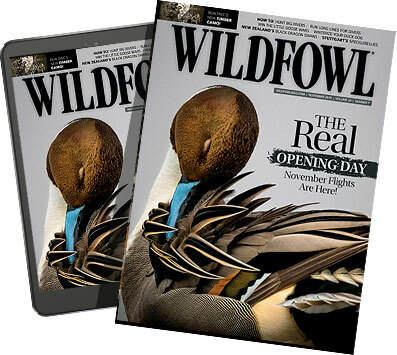 Ninety-eight percent of the proceeds from the $15 Duck Stamp go to the Migratory Bird Conservation Fund, which supports the purchase of acres of wetlands for inclusion into the National Wildlife Refuge System. Since 1934, the Federal Duck Stamp program has raised more than $750 million to purchase nearly six million acres of wildlife habitat for the Refuge System. To date, Duck Stamp funds have been used to acquire habitat at hundreds of refuges, in nearly every state in our nation. There are 550 national wildlife refuges spread across all 50 states and U.S. territories. A current Duck Stamp can be used for free admission to any national wildlife refuge open to the public. And in 2008, more than 41 million visited a unit of the refuge system. Refuges offer unparalleled recreational opportunities, including hunting, fishing, bird watching and photography.